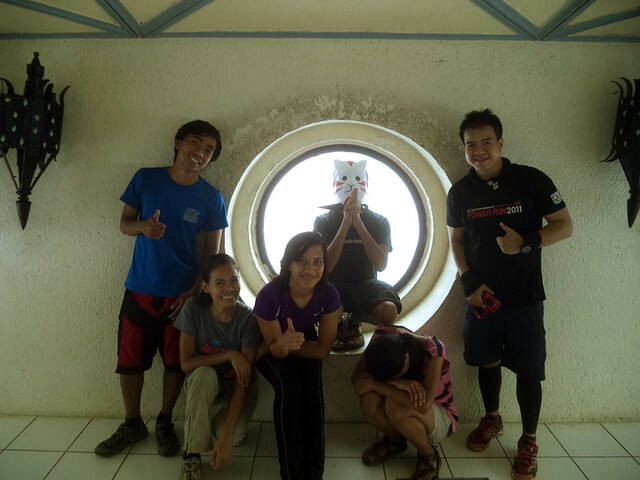 By finishing Tarak Ridge day hike earlier than usual (read our quick Tarak Ridge hike), our team had an opportunity to spend more time in Bataan. So I told them, "since we're here in Bataan, we might as well go to Mt. 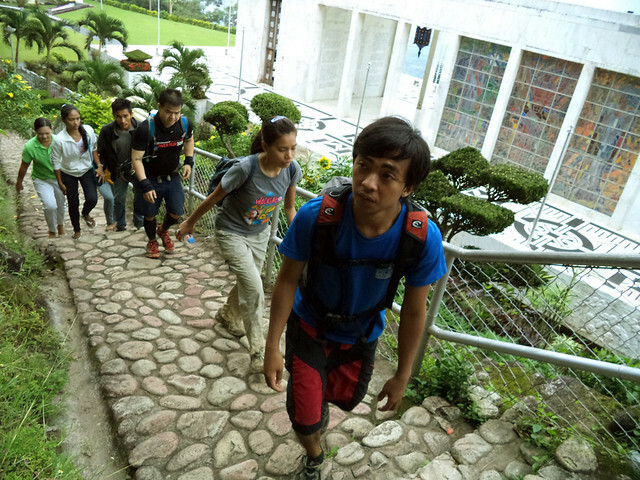 Samat and visit the province's most renowned landmark—the Shrine of Valor." And so we did hike Mt. Samat that same day. Though dwarfed by the giant Mts. Mariveles and Natib, Mt. Samat is biggest when it comes to our WW2 history. 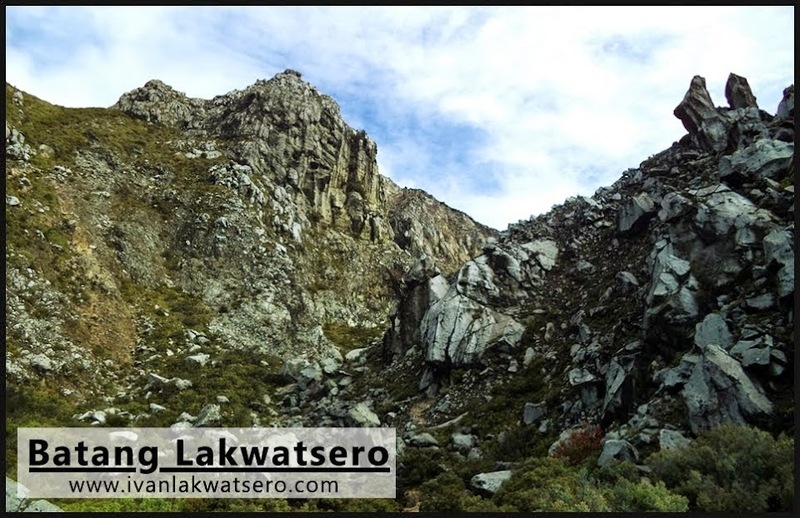 So before I start narrating our climb/run/walk or whatever you guys want to call it, let me tell you first the story of gallantry and valor that Filipino and American soldiers exhibited in this mountain at the dawn of WW2 in the Philippines. When the heat of World War 2 finally reached the Pacific in 1941, some of the biggest battles were staged in the Philippines. And among these was the famous Battle of Bataan. This major battle, fought by the invading Japanese Imperial army and the Allied forces of the US and Filipino soldiers in the Bataan Peninsula, took four months. It was valiant but futile fighting. The final days of the battle took place in Mt. Samat when the defending Allied forces retreated into the mountain. The Japanese army under the command of General Homma then launched a systematic bombardment on Mt. Samat. Day and night, Mt. Samat received heavy bombings from above and ground, turning the mountain into an inferno. Eventually, the tired, sick and wounded Filipino and American soldiers hiding in Mt. Samat surrendered into the hands of the invaders. The date was April 9, 1942, known in history as the Fall of Bataan. Consequently, the surviving soldiers we're forced to march from Bagac, Bataan to Capas, Tarlac, the event we now know as the Bataan Death March. 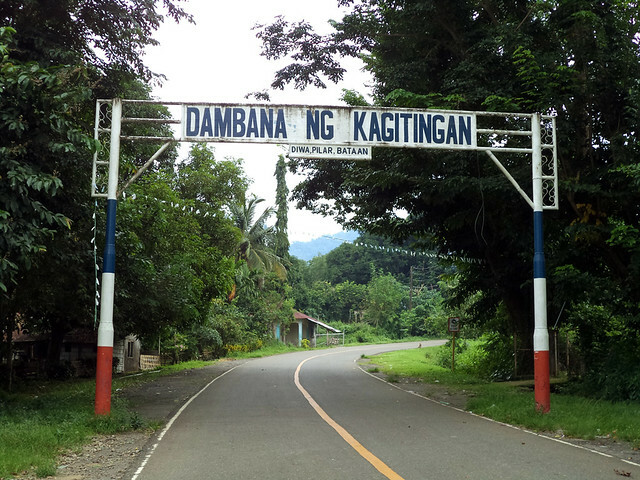 After the war, a shrine (Dambana ng Kagitingan) was erected at the summit of Mt. Samat to commemorate those Filipino and American soldiers who fought valiantly during the World War 2. And that date that Bataan has fallen is now being celebrated as the Day of Valor (a National Holiday). A sad story of how Bataan and the whole country has fallen into the hands of the Japanese, but at the same time, inspiring. My highest respect to our WW2 heroes. Reaching Mt. Samat is actually easier than what I first thought. From Mariveles, we rode a bus bound for Balanga and asked the conductor to drop us in Pilar intersection. The bus dropped us here in KM 23. 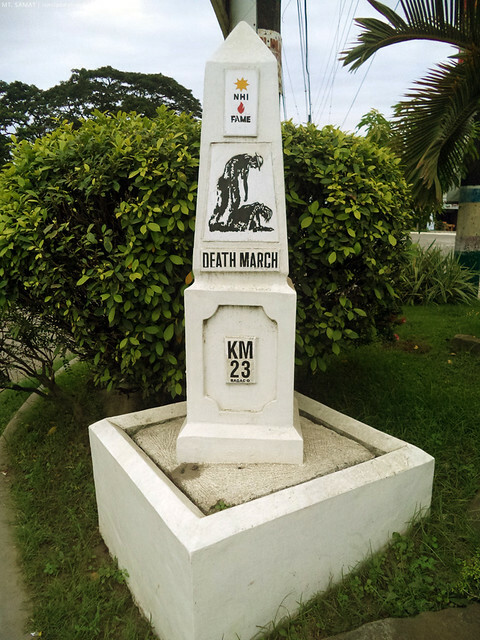 Don't be surprised to see markers like this when in Bataan. 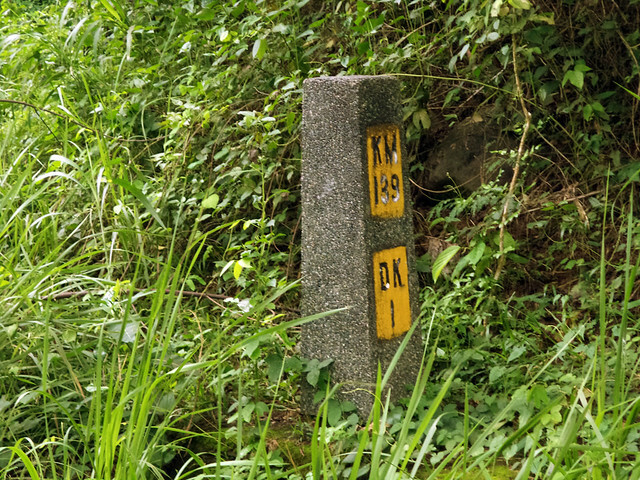 These are the kilometer markers of the 128 Km long Bataan Death March that happened after the Fall of Bataan. From there, we rode a trike towards the foot of Mt. Samat. At first, the tricycle driver offered us a ride up to the shrine since there's a fine road running from foot to summit, but we insisted that we wanted to walk/run it all the way. Starting line of our 6km march to Shrine of Valor. 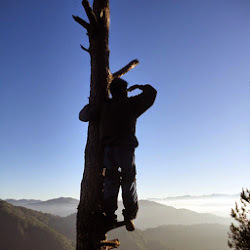 Being a mountaineer with a considerable hiking experience, the 6km walk and run should be just easy. I was full of energy when we began our walk at 2:40 PM. But after a merely 40 minutes walk and run, I was already panting really hard and fast. 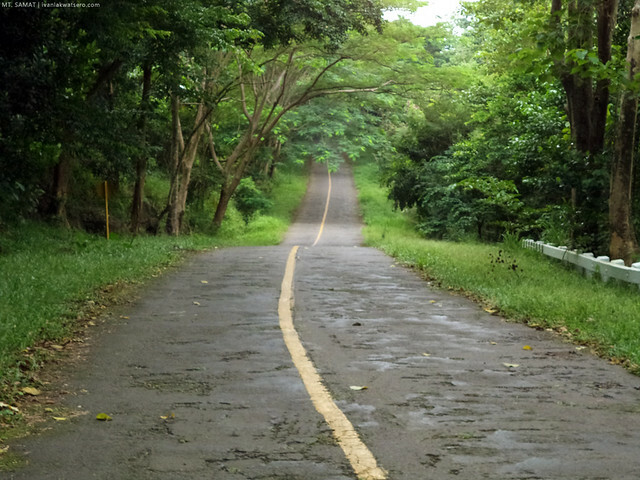 Indeed, trekking on a concrete road is more challenging than on a dirt path or forest trail, at least for me ha. I chose to run the length of the concrete road up to the Shrine of Valor. It's mostly uphill and zigzagging, kaya medyo challenging. Pinapahirapan na namin ang sarili namin. We've walked for more than an hour already but the tall cross was still out of sight. For how many times, I was tempted to just wave my hands on the passing by vehicles and hitch to summit, but I restrained myself from doing so. It took me a little less than 1 hour and a half to finally reach the gate of the shrine. A relief! We immediately paid the entrance fee (P20) then proceeded right away to the shrine. 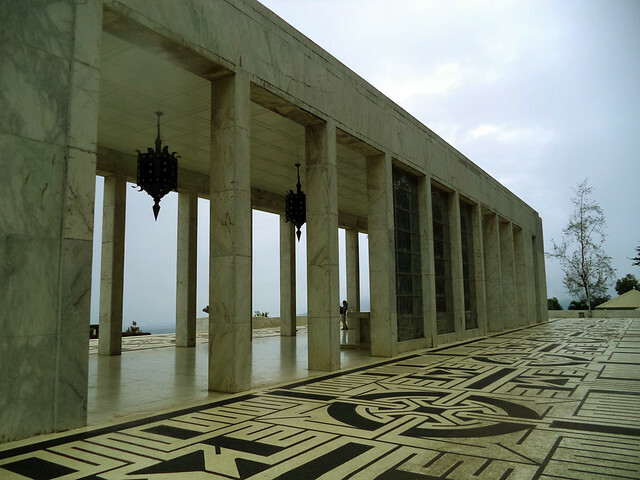 The Shrine of Valor or Dambana ng Kagitingan is a complex of monuments, sculptures, museum and a marble colonnade, all are dedicated to the heroes of the bravely fought Battle of Bataan. Weather was not so favorable that afternoon. 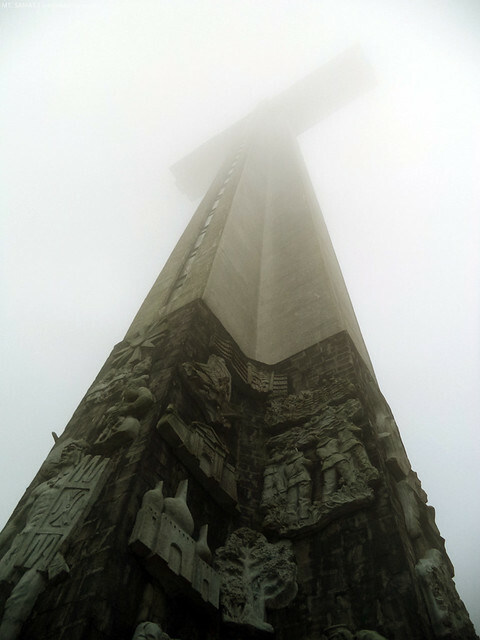 The tall cross was partly obscured by layers of clouds. Nevertheless, we still managed to roam around the Dambana ng Kagitingan. Right below the colonnade is the museum. We went inside of course (taking photos inside is not allowed). There, we found different memorabilia such as maps, photos and actual WW2 relics. There were bayonets, artillery pieces, big guns and grenades. Somehow, we were shifted to the era of the bloodiest war in human history. Then after the museum tour, we proceeded next to the memorial cross. Towering at the very summit of Mt. 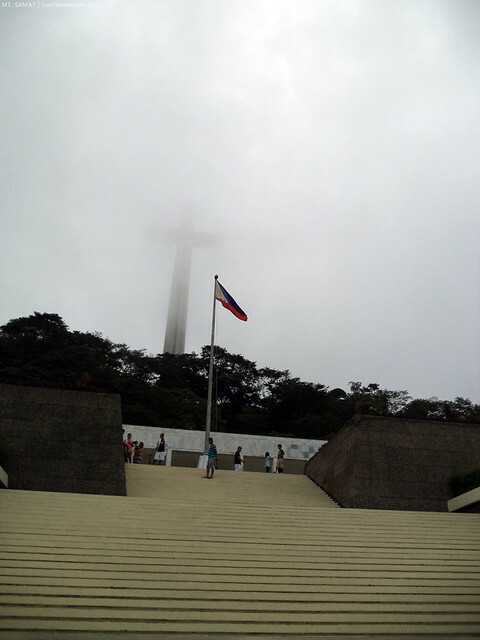 Samat is the shrine's memorial cross, standing 92 feet high. 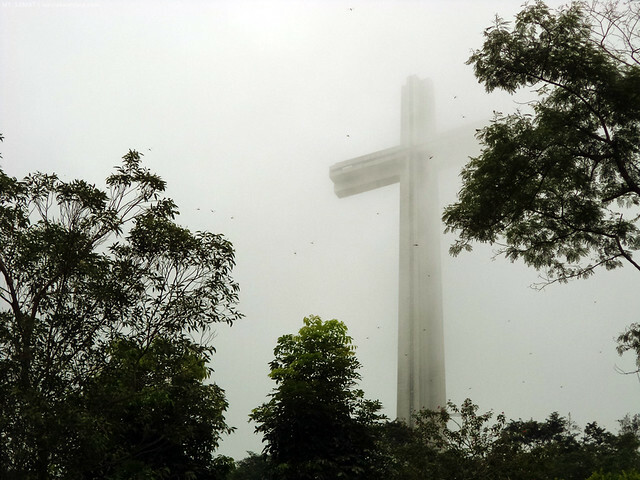 Tall and proud, this cross was the province's most famous landmark dedicated to all the fallen soldiers of the Battle of Bataan. the memorial cross. Notice the intricate relief statues at the base of the cross, work of the National Artist Napoleon Abueva. The cross is actually a tower which can be entered and climbed up to its arms, but there's a minimum P5 fee for the use of the narrow elevator (be warned claustrophobics). The cross is open only until 5PM, so we rushed to it para makapasok pa kami. at the arms/view point of the cross. Obviously, we did not see the possibly amazing view from the cross's arms. 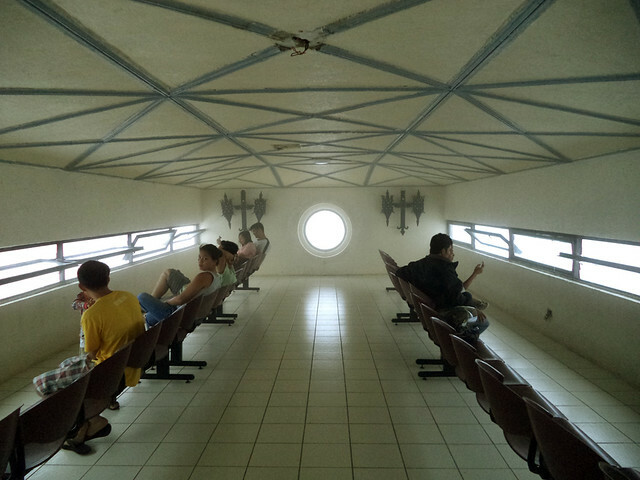 It was chilly and a bit foggy inside the arms (view deck) of the cross as the air pass freely through its windows. 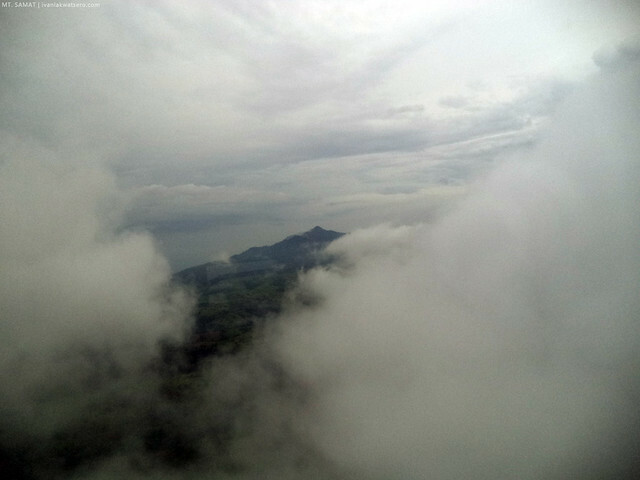 Too bad, the cloudy weather did not allow us to fully appreciate the view from up there. Everything was white, just pure white from up there. From time to time, the clouds would open to show what's below, but very momentarily. lucky to have seen Mt. Mariveles from the window of the cross! By 5pm, after chilling for almost an hour at the cross, we were told that the shrine was closing. It's closing time, which means our daytrip in Bataan will end soon. Haist, gusto ko pa sanang magliwaliw. Oh well. Getting out of the shrine is painless. There were tricycles waiting at the gate so no more walk/run for the tired hikers like us. We traveled by trike back to Mt. Samat's foot, then waited for the bus bound for Balanga City. At Balanga City, the province's capital, we had a quick dinner first before hopping in to our bus back to Manila. What a fun day with my friends and my special someone. Ang dame palang magandang tourist spots sa bataan? Sana mapromote nmn ang Bataan sa TV. Sir magkano budget nyo sa trip? More than 1hr b tlga lakaran from the starting point to mount samat? ah, so that's what it looks like inside the cross. i would have liked to have gone up there when i visited in august of 2016, but the elevator was out of service. thanks for publishing that picture and satisfying my curiosity. Wow! I would like to do this holiday. 6Km from ground up to the entrance?